OPENING OF THE THOMAS MANN HOUSE | Meisterkreis – Deutschland e.V. June 18, 2018: Los Angeles. 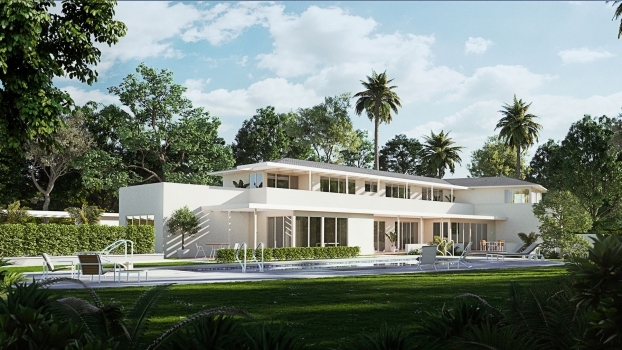 Federal President Frank-Walter Steinmeier opened the Thomas Mann House Los Angeles as a new residence of the Federal Republic of Germany for intellectuals in the fields of culture, politics, economy, media and science. 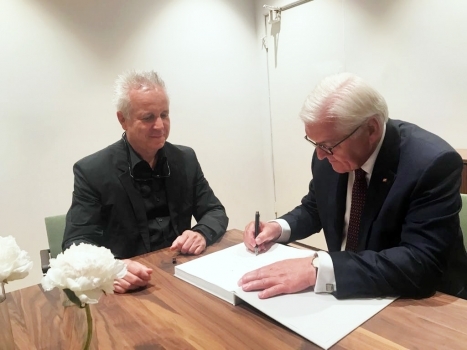 Steinmeier, who also wrote the preface for the GERMAN CONTEMPORARY EXCELLENCE book, signed the MEISTERKREIS book on site; it is now is displayed in the library at the Thomas Mann House. MEISTERKREIS members Jan Kath, KPM Berlin, Occhio, Thonet and Walter Knoll conceptualised the house as a refuge for the free spirit.